57°38’53”N 10°24’22”E is the current location of Råbjerg Mile, the biggest shifting sand dune in Northern Europe, located near Skagen, in Denmark. 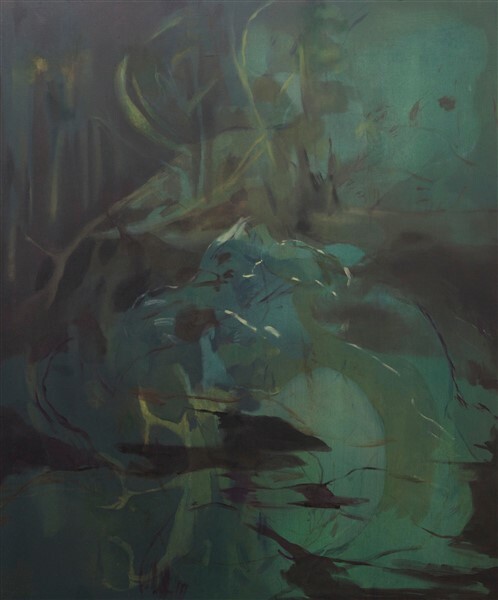 Nazarena Poli Maramotti chose this natural phenomenon as a metaphor of the continuous evolution of her painting towards a new direction of her research, highlighted in this new series of paintings where the artist creates and develops an idea of landscape, overcoming it. This is her second solo show at A+B Contemporary art in Brescia. Råbjerg Mile is for Nazzarena Poli Maramotti like the mental state of her creative process. The dune is the perfect reference of her artistic research thanks to its slow and invisible formal transformation, to its 18 meters per year movement and its ability to shape the coast. Råbjerg Mile is a light landscape: there was an artistic movement in Skagen in the XIX Century, which used light as its main subject. But it is a darkness landscape as well: Råbjerg Mile hides something under itself and gives it back when it moves forward. Both coincide and live in the main time and shape, they appear and disappear always identical to themselves. The works exhibited in Wanderdüne 57°38’53”N 10°24’22”E highlight this similarity between that natural phenomenon and the artist’s research on a conceptual and non descriptive level: like the dune’s movement which voids the landscape and brings it to its essential shape, Nazzarena Poli Maramotti exceeds the idea of figuration through works that are stylistically heterogenic but coherent in the painting practice. Tendone, Sussidiario, Dirupo, and Onhe Title (Blu), Muta, Onhe Titel – all oil on canvas, small and medium dimensions – are the result of the research of an evolving subject. 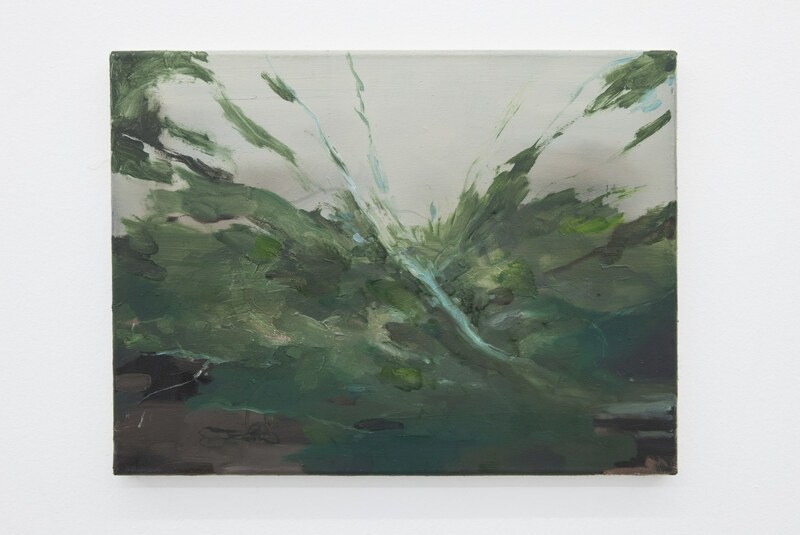 As a whole, these works appear like a continuously interrupted speech, made of mental swerves in which the cut narration makes the viewer “dig” into the surfaces of the paintings to reveal that mental dimension at the source of any representation, which contains all the possible images. Nazzarena Poli Maramotti, was born in Montecchio Emilia in 1987 and currently lives and works in Nurnberg (D). Recent solo shows: 2014, Argonauta, curated by Silvia Cirelli. Galleria Marcolini. Forlì. 2014, Muta, Zumikon lounge. Nürnberg. 2012 Portraits. Anatomia di un ritratto, Galleria AplusB . Brescia. 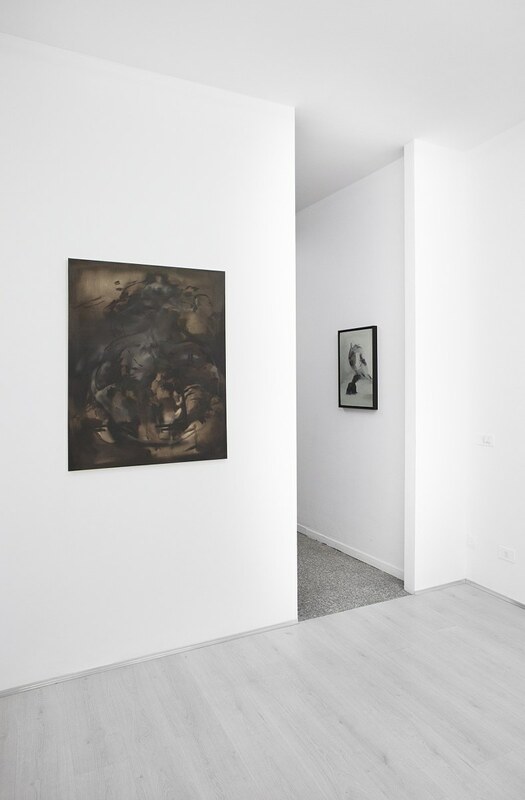 Group shows: 2014 La Creazione, San Fedele Prize, Centro culturale e galleria San Fedele. 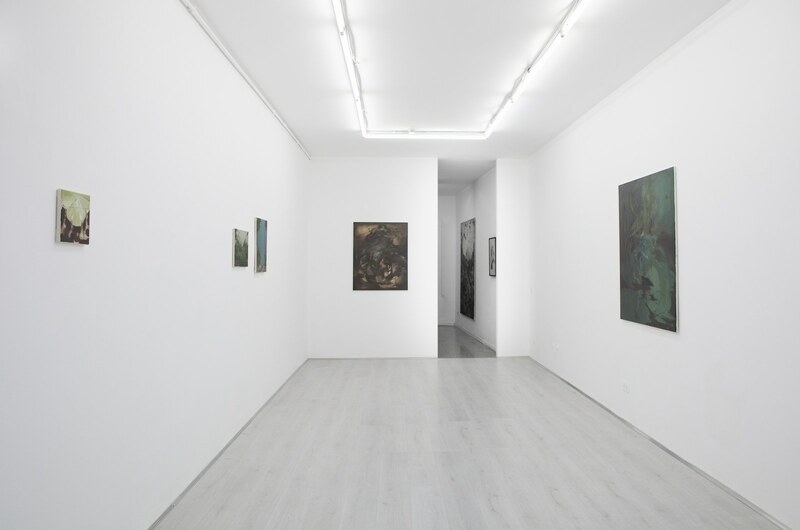 Milano; Meisterscherschüler, Purdy Hicks Gallery. London. 2013, Oltre il pensiero. Quattordici ricerche attraverso la materia, Palazzo Guaineri delle Cossere. Brescia. Marco La Rosa/Nazzarena Poli Maramotti. 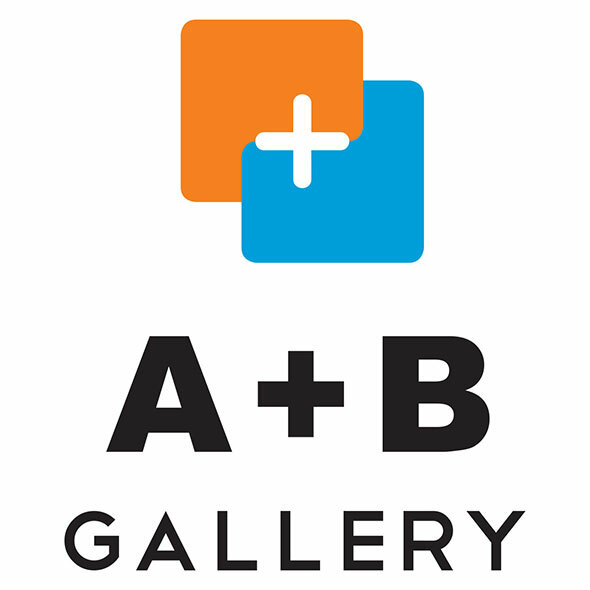 Between signs and measure, Galleria AplusB. Brescia. Collector’s View, curated by Herbert Martin. Oechsner Galerie . Nürnberg .